Seasoning has multiple uses: Make Pasta Sauce, Stew, Beans, Marinade and more...Also great with Quinoa, Couscous, Spaghetti, etc. 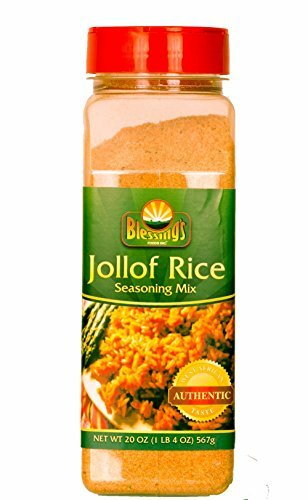 More value for your money and family - Makes up to 31 servings of Jollof Rice! Cooking instructions included. View More In Seasoning Mixes. If you have any questions about this product by Blessing's Foods, contact us by completing and submitting the form below. If you are looking for a specif part number, please include it with your message. Gazebo Room All Natural Greek Salad Dressing and Marinade, 16 Ounce - 12 per case.